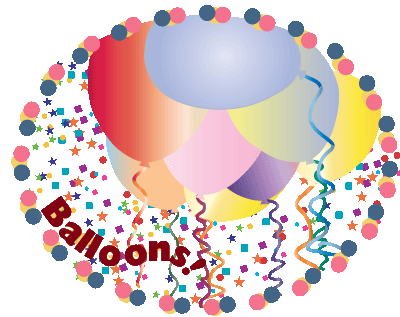 You are here: Home / Creativity / Symbols for Writers: Balloons! About the Symbols for Writers Series: I’ve found that symbols and imagery can trigger valuable insights into writing, life, problem-solving, finding joy, and more. This series was born because I wanted a collection of symbolic images coupled with text and questions intended to kick-start the creative process, help identify a creative block, or aid expression of complex concepts in condensed packages–and I thought you might enjoy such a collection, too! If you’d like to know more about how the Symbols for Writers series came to be, check out the first post in the series. This week’s image is meant to inspire thoughts about success and what it means in your personal universe. You can also use the image as a creative prompt, or as a reminder of some key idea you want to remember in the coming week. Have fun! Take a good look at the image above, then close your eyes and take a few deep breaths. Imagine a celebration for your upcoming success. Visualize it in all its glory, the sounds, the smells, the food and drink. Let your mind relax and savor the scene. Feel the flush of success! What are you celebrating? A book sale? A book release? Hitting the bestseller list? How do you feel–excited? Scared? A bit of both? Who is celebrating with you? What familiar, friendly faces are in the crowd? Who are your fans, joining the celebration? What do they look like? What do they say as they crowd around you? What do they love about you/your work?